The automatic bar code identification system consists of a bar code tag, a bar code generation device, a bar code reader, and a computer. A bar code is a graphic identifier or machinal readable piece of information. 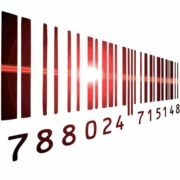 It is a block of black bars and spaces of unequal widths according to a certain coding rule a common barcode is a parallel line pattern arranged by black bars. 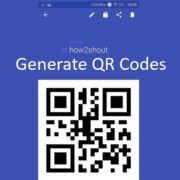 The barcode generated by the software encodes the product information; initially, these barcodes can only be read by the optical bar code reader instruments but nowadays applications software can also able to read the barcode with help of the camera, for example, our smartphones. In simple words, it is an information traceability tool that records products from production to sales to consumers. When we went to the supermarket for shopping some product, the cashier simple scan the barcode of the product using the optical barcode scanner that automatically feeds the product information and its corresponding price into the POS machine which makes the check out fast. 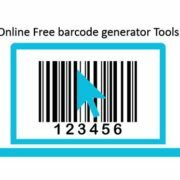 Also, when it was developed the barcode only uses the parallel lines pattern also refer as liner or one-dimensional but later the 2D barcodes came into existence such as rectangles, dots, hexagons and other geometric patterns.